María José Romero is Policy and Advocacy Manager at the European Network on Debt and Development (Eroded). Isabelle Brachet is ActionAid International EU Advocacy Advisor. 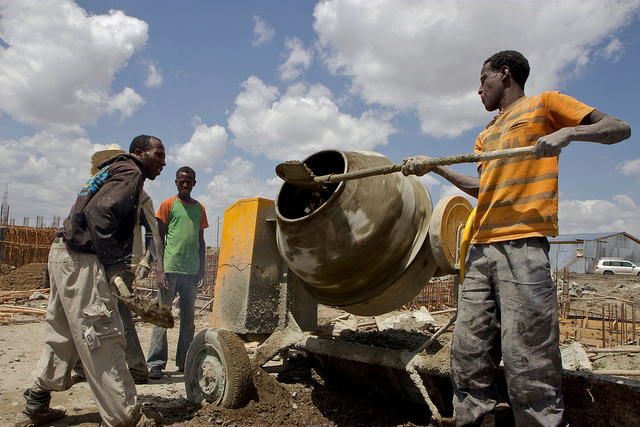 In recent years, the EU has come to regard investments by the private sector as the silver bullet when it comes to financing development projects. The latest indication of this is the European Commission’s plan to expand the €4 billion European Fund for Sustainable Development (EFSD) as it prepares the proposal for the next EU budget. The EFSD is a central pillar of the External Investment Plan (EIP), and it aims to support private investments in Africa and countries around the EU border. But so far there is not enough evidence to suggest that relying on private investments is the best way of reducing poverty or inequality. And there are concerns that it may, in fact, benefit private investors far more than the world’s poorest. Why, then, is the EC considering the expansion of the EFSD? Civil society organisations across Europe agree that the private sector has an important role to play in delivering the Sustainable Development Goals (SDGs). But governments should put in place the right framework of legislation, regulation and incentives, to make sure commercial considerations are not to the detriment of sustainability and human rights, and that private investors proactively contribute to poverty alleviation and broader development goals such as gender equality. We do not believe that the EU should divert increasing amounts of scarce Official Development Assistance (ODA) away from vital services that benefit poor communities without proof that using it to subsidise private investments is actually having a positive impact on people living in poverty. What the EU and its member states should do instead, is to ensure their development interventions do not further exacerbate inequalities. They should also change European policies that hamper development. This would include, for example: tackling tax avoidance by European companies that deprive developing countries of resources they need; capping the scandalous fees charged by the money-transfer industry on migrants’ remittances; and stopping the promotion of massive exports of our agricultural products to the detriment of local food systems and food supply chains in Europe and in the Global South. We already know about many problems that are caused by the use of ODA to encourage private investment. Firstly, when aid is used to subsidise the European private sector, there is a risk that companies in Europe – rather than people living in poverty – will be the biggest beneficiaries. Rigorous safeguards need to be in place to prevent this. Data from the Organisation for Economic Cooperation and Development’s Development Assistance Committee (OECD DAC) shows that a large share of aid already flows back to companies based in donor countries. In the case where ODA is used to ‘leverage’ private finance i.e. subsidise private investments – the risk of aid being used to offer hidden support to donor country companies is even greater, due to the complexity of the transactions involved. As yet, the OECD DAC has not agreed on safeguards to stop this from happening. Secondly, an evaluation of European Union blending projects (the trend of using ODA to subsidise loans from public finance institutions or commercial lenders) between 2007 and 2014 found that the design and implementation of these generally did not have strong pro-poor dimensions and “gender was rarely targeted”. What’s more, the same evaluation found that in almost half of the cases examined, there was no clear reason for using blending rather than traditional development cooperation. Moreover, encouraging private companies to invest in public services like health and education – which the EC has not ruled out – may further exacerbate inequality, with the imposition of fees eroding universal access, for example. Thirdly, if aid has to be used to support private companies rather than the non-profit and public sectors, the focus should be on inclusive business models structured to serve local workers and entrepreneurs and the wider communities in developing countries, such as social enterprises and cooperatives. Domestic micro, small and medium-sized enterprises (MSMEs) could also be supported, in line with national development and industrialisation strategies rather than backing multinationals and global value chains. This guarantees that the long-term benefits of investment will reach the women, men and youth of countries in the Global South, instead of corporates in the North. Finally, a poorly regulated financial sector has been a major contributor to widening economic, social and political inequality and wealth concentration. It is therefore paradoxical to count on the same actors to improve the livelihoods of people living in poverty without appropriate regulation in place. Increasing inequalities results in stark disparities in access to health, education, and housing and hampers people’s equal access to justice and to political participation. Inequality is also an obstacle to global stability. Instead of expanding the EFSD to cover more regions and involve larger amounts, our governments and MEPs should ensure that ODA is used for what it is intended. Its effectiveness should be measured by its contribution to improving people’s lives in developing countries and those very people should be in the driving seat to define their needs and aspirations.